I just got back from watching 10 Cloverfield Lane. The trailers don’t really give much away, but don’t watch them anyway, just in case. Also, don’t read any reviews with spoilers before seeing it. I think it will still work if you know the story, but why ruin it? Wow! What a movie! Wow! The story is great. The acting is great. John Goodman is great. I didn’t really know what the story was before going in. I had just seen the trailer embedded above. Yesterday I went to a late showing of Deadpool. If you haven’t seen the trailers already, don’t watch them as they give too much away! I’ve been wanting to see it for a while, but I can’t get my cinema mojo back. The last thing I went to see was the new Star Wars film. I used to really love going to the cinema, but these days I really don’t like it. Even when I enjoy the film, I find the process rather irritating. The opening credits were funny and totally irreverent. They really set the mood for the whole film. It’s a holiday weekend and I just got back from watching The Expendables 3. “Enter Reed to audition for Amber. They go at it. I’ve had a day off today, so as well as swimming, starting to clear out my junk room and going to the pub to say “see ya” to a colleague who is going on maternity leave, I went to see Lucy. Let me start by saying this is pretty much a rip-off of Akira. Not in a word-for-word copy sense, but it’s like Luc Besson watched Akira and said, “How and I take most of the main points, while trying to make it seem like I’ve written something new, but still steal a bunch of the visuals?” He then went to sleep, woke up and wrote Lucy. Today’s film was Dawn of the Planet of the Apes. I really enjoyed the first film and this is a continuation of that story, set 10 years later. I’ve just got back from seeing Guardians of the Galaxy. Take note Sci-Fi movie makers! This is your competition! This is what you need to aim to outdo! It’s very cool. It looks great. You quickly start to give a crap about the characters. It doesn’t take itself too seriously. Favourite Character: Groot. I challenge anyone to come out of the film and not want to say, “I am Groot”, in response to any situation. I didn’t really fancy it when I saw the trailers. A couple of people were talking about how good the reviews were, so I thought I would give it a go. I’m glad I did. It’s excellent! I went to see Edge of Tomorrow today. You will see reviews that say it’s a Sci Fi version of Groundhog Day, and that is kind-of true, but in a good day. It’s not overly endowed with plot, but it’s a pretty good Sci Fi flick. I think from now on Emily Blunt should be in every film! OMG (Oh My Godzilla)! What a total pile of steaming, festering dog crap! 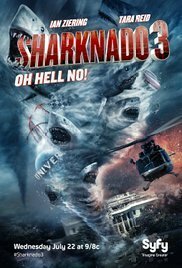 It is incredible how they managed to spend $160 Million and produce something with less credibility than Sharknado, which only cost $250,000! I really don’t think it has any redeeming qualities. How, in a world that brought us Cloverfield and Monsters, can so much money be spent on such a worthless pile of guff like Godzilla. In my Cloverfield review I mentioned how bad the previous spin of Godzilla was. This respin is no better.